Dominion’s Dedicated Specialists ensure your dealership’s marketing messages reach your preferred audience. 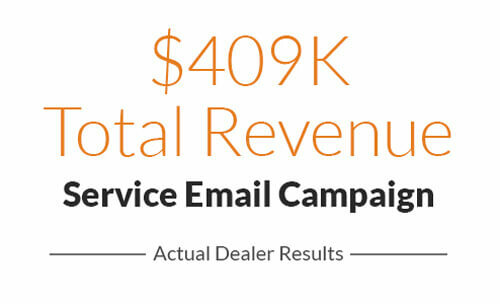 Whether they are creating custom email campaigns or impactful automotive direct mail pieces, you’ll love the results. 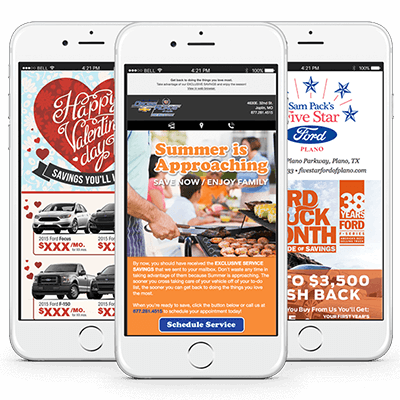 Dominion’s offers responsive design emails for your dealership’s various needs. Our emails will help you drive more revenue from your service drive, generate more floor traffic, or stay in touch with your customer base. Whichever email campaigns you choose, your Dedicated Specialist will help you achieve your goals. 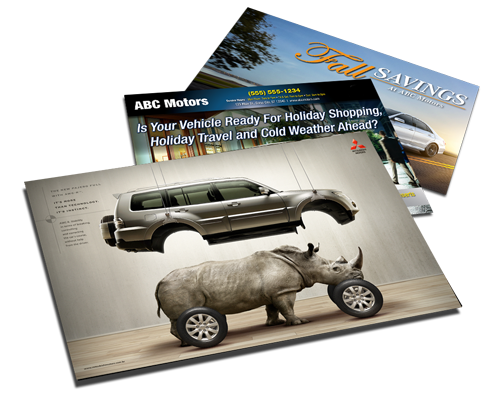 We integrate direct mail with email to reduce your total cost while maximizing the impact. With this multi-channel strategy, you can easily reach the majority of customers – even those without email addresses or on the Do Not Call (DNC) list. Read this blog to understand why direct mail is still vital to your marketing strategy. Email and direct mail marketing are both very important to your Fixed Ops marketing strategy. Read the blog to learn how to rev them up! How hard is your email marketing working? Read this blog to learn how to get more out of your marketing emails.